For most women, a wedding day is the most expected and desired event in their lives. That is why they usually get ready for it rather seriously. Brides would like to have a perfect wedding dress, despite the fact that they are going to wear it only once. Besides, every woman has her idea as for the ideal wedding gown. 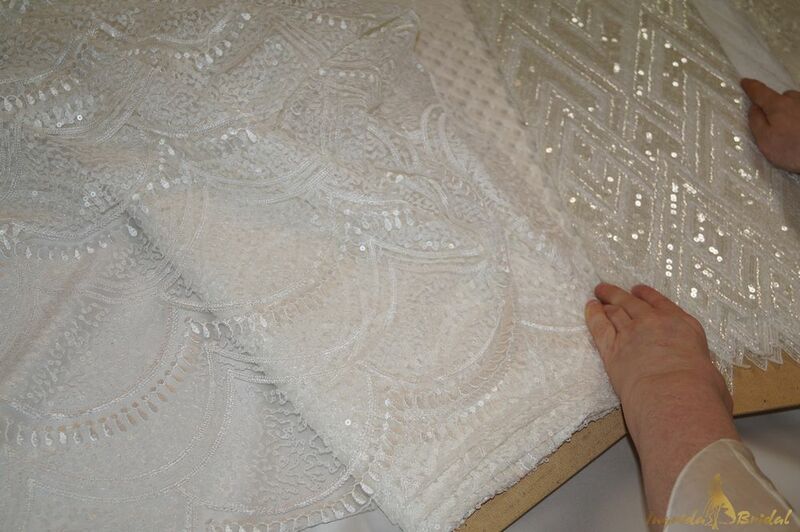 Some years ago, to make a luxurious wedding dress, designers needed to use a great amount of fabric. Accordingly, the longer the train was a more luxurious look its owner had. Nowadays, the approach of modern wedding dress makers has changed a lot. Brides are free to choose the length, shape and even color of their future wedding gown. Of course, most girls prefer a conservative white. Since a wedding is a symbolic celebration, many brides tend to follow all the traditions. Long straight dresses have been popular for many years. They look elegant, flattering a female figure. While the close-fitting lines with a full skirt at the bottom of the wedding dress will help you feel like a Hollywood star. Choose the perfect option for yourself, and wedding dress makers will help you look gorgeous. The best wedding dress makers can create real masterpieces that make every bride look really elegant and bright. If you hear about wedding dresses from designers, the first thing that may come to your mind is that they are rather expensive and unattainable for ordinary people. However, that is not always true. There are simple ways to acquire a trendy dress. Moreover, wedding dresses from famous designers are worth buying and deserve the highest attention. Dressmakers can offer you a really stylish outfit, meeting the most refined tastes and the latest modern trends. What Do Wedding Dress Makers Actually Do? Putting a dress together from something that is just sketched on the paper to something real is a very exciting process. An experienced and creative wedding dress maker will design a dress that suits the type of figure and personality of every bride he/she works with. A future bride comes to the maker if she wants to have something different from the traditional styles, available on the market. The first thing that a dressmaker does is sketching the design, depending on the client’s request. Then you need to select the material for the future dress. There is an incredible variety of materials to use. All of them feature different characteristics and open new possibilities. A wedding dress maker can work with any fabric you choose so that you could feel comfortable on your special day. Though, the word ‘comfortable’ is not the most exciting word that you would like to hear. Because brides are usually ready for some sort of sacrifice; and they, say that beauty knows no pain. However, it is a huge concern when you are wearing a wedding dress for eight, nine, or ten hours. You should keep in mind that a wedding dress maker can make your gown rather light and at the same time extraordinary. The next steps will include making the pattern, cutting the fabric, and lace. So after that, it is time for a rather crucial moment – sewing everything together. Of course, finishing details will complement the overall look of a wedding dress. It is possible to interpret the extremely beautiful fabrics into dresses that brides actually feel are worthy of wearing on their wedding day. It is a huge honor for every wedding dressmaker. So that is what their work is about.